Thirty-three faith-based and socially responsible institutional investors with assets under management of $2.3 trillion have written to encourage companies who failed to submit a 2010 report to the Carbon Disclosure Project’s Water Disclosure Project. The investors, which included the Oblates of Mary Immaculate, are encouraging the heavy water-using companies targeted by the Report to complete the questionnaire for 2011, or explain why they are not planning to participate. Company submissions can help identify areas of both strength and weakness in water management. Many corporations are only now beginning to look seriously at their water use, realizing that a global water crisis could pose significant risks if this vital resource is not managed carefully. Climate Change is widely expected to aggravate worldwide water shortages in the coming decades. Credit Suisse estimates that, by 2020, 37 percent of the global population will face severe water stress. Increased demand is a major problem. Since the 1940s, the global population has tripled to more than 6 billion people worldwide. 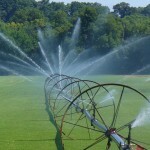 Over the same period, global water use has quadrupled. 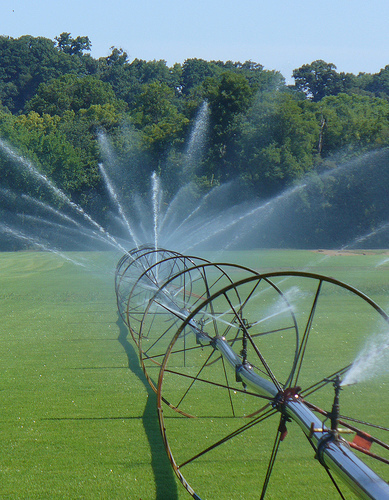 Agriculture uses 70-80% of the water used globally. In many areas, including parts of the US, which are drawing on underground aquifers, this rate of water use is unsustainable, in other words, it is being used at a faster rate than it is being replenished. While the metrics for reporting on water use are in the process of being refined at an international level, the CDP Water Disclosure is an important step in this process. The Missionary Oblates of Mary Immaculate have been engaging a range of U.S. companies on water use and reporting issues, and are a signatory to the CDP Water Disclosure Project.